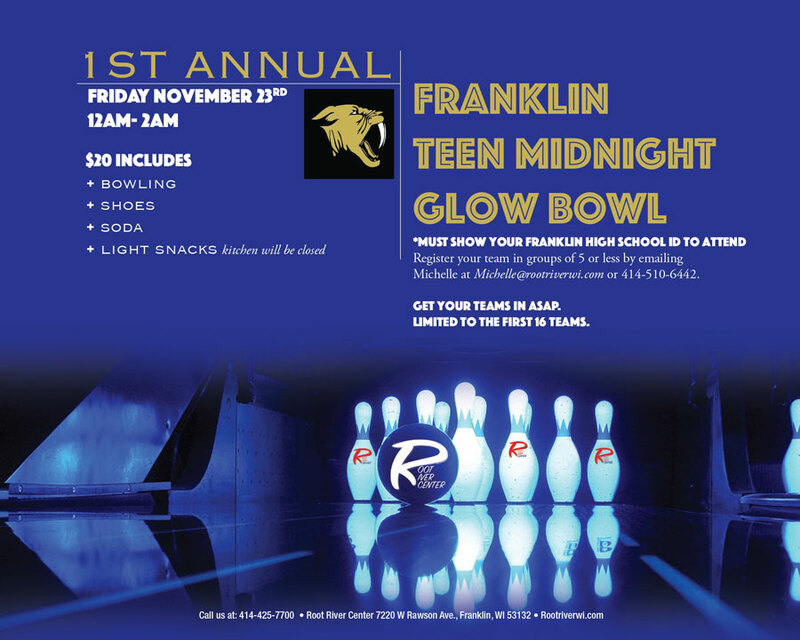 Join us as we host our first annual FHS student teen bowling night!!! Gather up your friends & come on out (with parents permission of course & parents are welcome to stay). GO SABERS!!!! 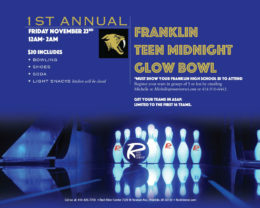 Register your team in groups of 5 or less by emailing Michelle@RootRiverWI.com or by calling 414-510-6442. Register ASAP – only 16 teams will be able to participate.